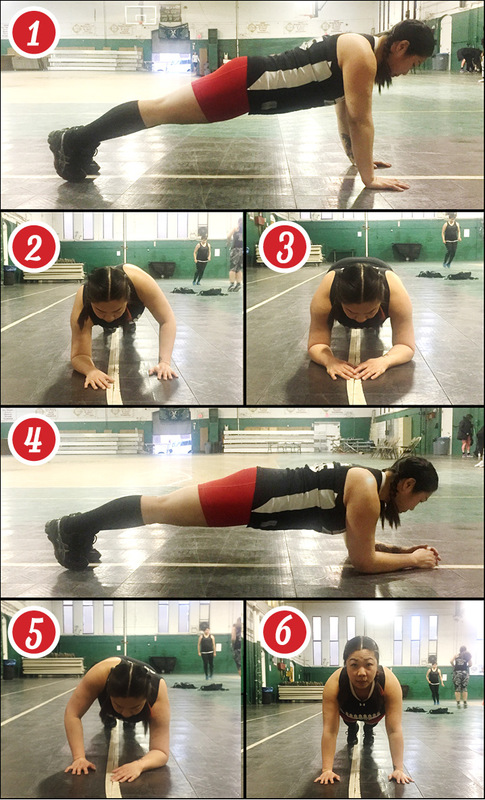 Planking push-ups are a full-body exercise that you can do anywhere with no equipment. That means you can do these on the track, at home, in the park, on the subway*, in your bedroom or anywhere you can find a flat surface!! That also means there are no excuses for skipping this awesome move. 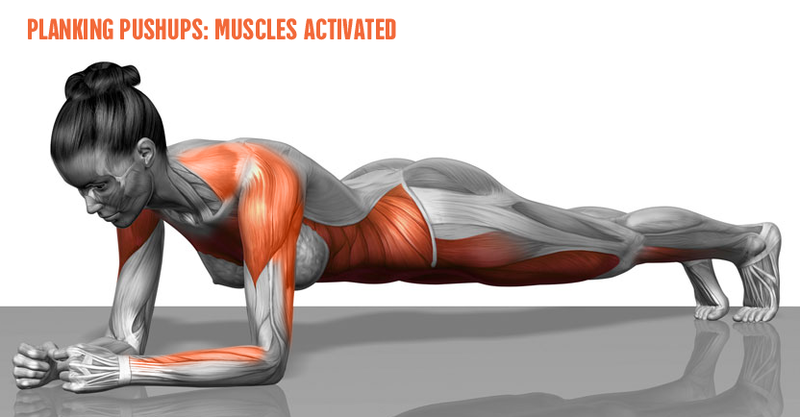 When doing planking push-ups it’s important to move through the exercise slowly and with control. Make sure you’re keeping your body in a straight line to engage those vital core muscles. Don’t let your hips dip down or tilt up! Having a strong core is important for roller derby because we need to be able to hit hard and keep skating. Without a solid core, it’s hard to get enough force to knock people over! It also makes it a lot easier to counter a hit from another equally strong skater. We want to see your best planking push-ups!! Show us your moves on Instagram. Post your photos with #gettingSRDstrong and mention @suburbiarollerderby! *Suburbia Roller Derby does not recommend touching the floor of the subway. Please use caution when doing plank push-ups in filthy places.